There are 1,281 universities belonging to the NCAA. Each one of these universities is a member belonging to one of three different divisions. In general, the larger schools are in Division I and the smaller schools in Division II and III. There are 449 universities in Division III. This translates to many universities playing Division III college baseball. The reason for three divisions is to split the universities into levels of competition that they want to participate in. The Division I level members are allowed to award more athletic scholarships than Division II members and Division III members are not allowed to award any athletic scholarships. 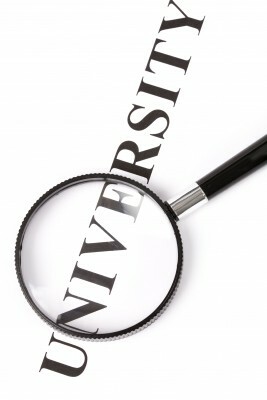 The schools in Division III range in enrollment from under 500 to over 25,000. These schools have elected to offer sports as a non-revenue making activity. They cannot offer athletic scholarships, and they cannot offer any financial aid based on athletic skills. The athletes must contend for financial aid in the same manner and rules as all other students. The NCAA goes so far as to say that the percentage of athletes on financial aid shall not exceed the percentage of overall student body on financial aid. Also, in Division III sports freshmen may not be redshirted for any reason other than medical. Baseball players at a Division III school are truly a student first and athlete second. The baseball coach at a D-III school will be more understanding with a player who needs to skip practice to study. That won’t fly at too many D-I or D-II schools. That does not mean that a player can miss multiple practices and expect to play or even stay on the team. It is just better understood at D 3 schools that classes and grades come before baseball. However, even though grades come before batting average at the D3 level, (and I’m not trying to say they don’t also for the majority of D1 & D2 college baseball players) there is very good baseball played at that level. 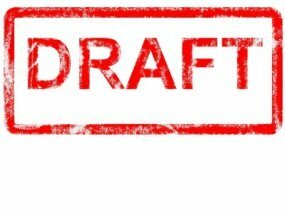 In 2011 13 D3 players were taken in the major baseball draft. And that was down from 22 players taken in 2010 and 19 on 2009. That should tell you there is a good brand of baseball being played. DIII schools play a full schedule just like DI & DII schools. They have conferences that they belong to and there is a DIII playoff system. Fifty-five teams qualify for eight regionals, which are held around the country. And the eight winners go on to the DIII college world series, which has been held for the pass twelve years at Appleton, Wis. I want to tell you a quick story about one of my son’s friends. His father just knew his son was talented enough to land a baseball scholarship. They were making videos and sending them to various college coaches. After no response from that, the dad decided to send the son to a baseball showcase that cost $3,000. The showcase promised exposure to college coaches and that the players would probably receive letters from many different college baseball programs. So off they went on a three day trip. The showcase did have college coaches attending and videos were made of every player. A few months later I ran into the mom and dad and asked how everything went. The dad said, as a proud dad would, because of the showcase, their son was receiving five or six letters from college coaches every week. Then the mom spoke and set the record straight. Every single letter they received came from Division III college baseball programs. Not exactly what they were looking for. They sure weren’t going to recoup the $3,000 from a DIII scholarship. But in my eyes they were missing the point. If their son wanted to continue playing baseball, there were some opportunities for him. Yes, Division III college baseball offers everything the big boys offer, except scholarship money. If you have the skills to play at the college level and are worried about the time commitment of college baseball, then check out D III college baseball.